Ontario Regional Innovation Centres (RICs) | Mentor Works Ltd.
Establishing your tech business in Ontario can be challenging, but there are many startup resources to support entrepreneurship, including the Ontario Network of Entrepreneurs (ONE). ONE is a vast network of mentors, innovation centres, and other entrepreneurs that you can use to establish and grow your business. ONE Centres include Regional Innovation Centres (RIC) and Small Business Enterprise Centres (SBEC); together these innovation hubs help early-stage businesses grow and mature into globally-competitive firms. Regional Innovation Centres are primarily targeted towards tech startups and are meant to accelerate the early stages of business development. There are 17 RICs across Ontario that, among other supports, provide programming, mentorship, workspace, and access to startup funding. Tech startups should be aware of their local Regional Innovation Centre’s resources and reach out to learn more about how it can help scale their business concept faster. Getting started with a Regional Innovation Centre is easy! To find the RIC closest to you, use the Ontario Network of Entrepreneurs website to “Connect with an Expert.” By entering your postal code, the website will provide you with the ideal RIC to contact, an overview of the location, a link to the centre’s website, and further contact details. What are Ontario’s Regional Innovation Centres? Regional Innovation Centres (RIC) offer resources to accelerate technology startups. With offices set up across Ontario, the innovation network is a central point of knowledge that entrepreneurs need to become market-ready. RICs provide value-added advice, access to capital, market intelligence, mentoring, and peer networking programs designed to help technology-oriented firms grow and succeed. Local offices provide a convenient and friendly one-stop approach to innovation. Funded through the Government of Ontario, they are free to use for eligible early-stage companies. Some RICs offer advanced support options for a reasonable fee, but these support centres are largely free to use and designed to help pre-revenue companies that do not yet have the capital or clients needed to participate in technology incubators or accelerators. The process of getting started with your Regional Innovation Centre is streamlined by Ontario Network of Entrepreneurs’ “Connect with an Expert” tool. Simply access ONE’s website and enter your postal code to identify your closest RIC, and you’ll receive all the information needed to get in contact with that centre. Once your startup completes programming with a RIC and has established a working business model, other resources such as an incubator or accelerator may be logical next steps. It takes significant time and effort to nurture a tech startup, but once you’re up and running, you’ll be that much closer to accessing government grants and other funding sources! 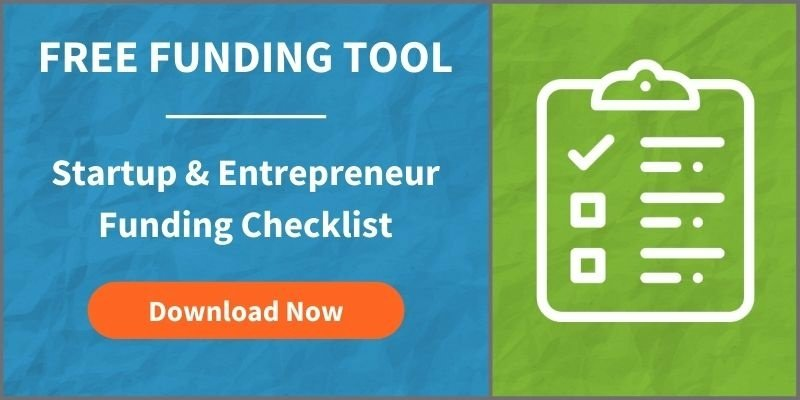 To determine what you’ll need to access government incentives, please download Mentor Works’ free Startup Funding Checklist!